Happy Motivational Monday! As you know, this has been a crazy week for me. Adopting a dog has been super fun, and entirely exhausting (in a good way). I've been walking Joey a LOT, so I've been getting in a ton of steps this week. I've been neglecting the deep water running a little because of it, but hopefully once we get settled into a routine, it'll be easier to get in my own workouts. Today, I went to the pool in the evening with the kids and did a deep water run. It was nice having the waterproof iPod! I've also been SUPER sick this week. Yesterday, Jerry ended up taking a vacation day from work just so that he could help out at home and I could rest--that's how sick I was. My head was really congested, my throat was absolutely killing me, and I was coughing up a lung. I got a total of about eight hours of sleep in four days because my throat was hurting so badly. It's kind of weird how quickly I felt better, though. Yesterday and the day before was the worst I've ever felt from a virus; and today, I felt about 60% back to normal. I'm hoping this week will be more normal--no sickness, and working out a good routine with Joey. I hope everyone has had a great week! 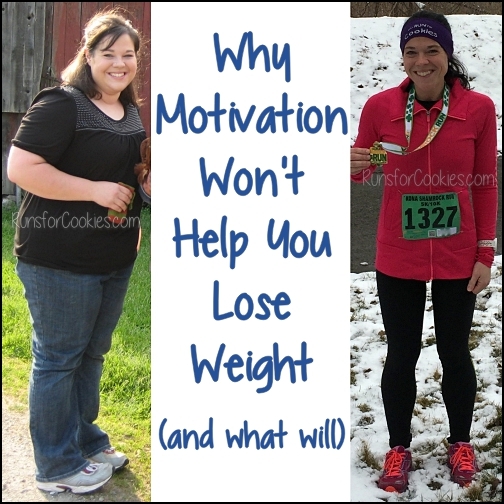 Just a couple of Motivational Monday stories to share today. Enjoy! First up... my mom! 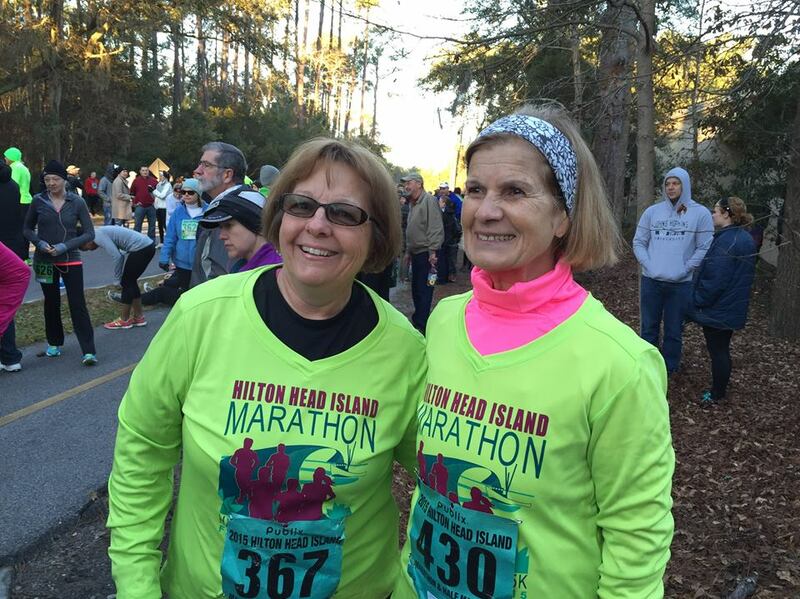 ;) My mom (Sue, on left in photo), who is 62, walked a half-marathon in Hilton Head, South Carolina on Saturday! Considering she lives in Michigan, she's been doing a lot of her training on the treadmill and even with the Aqua Jogger (she tried mine and really liked it, so she bought one, too). A friend of hers, Isabel, who is 65, joined her to do the race. Isabel lives in Florida, and did her training with a 76-year old neighbor who walked 12 miles with her in one of her training walks! Isabel and my mom had a great time during the race, but felt a little panicky when they realized they were the last of the half-marathoners. Their goal was to finish in 4 hours (walking), and they came in at 3:57! The volunteers were awesome and supportive, knowing they were last--cheering them on, walking with them at times to keep them on the right path, and making sure they had water. It was a great experience! This was Isabel's first half and my mom's fourth. 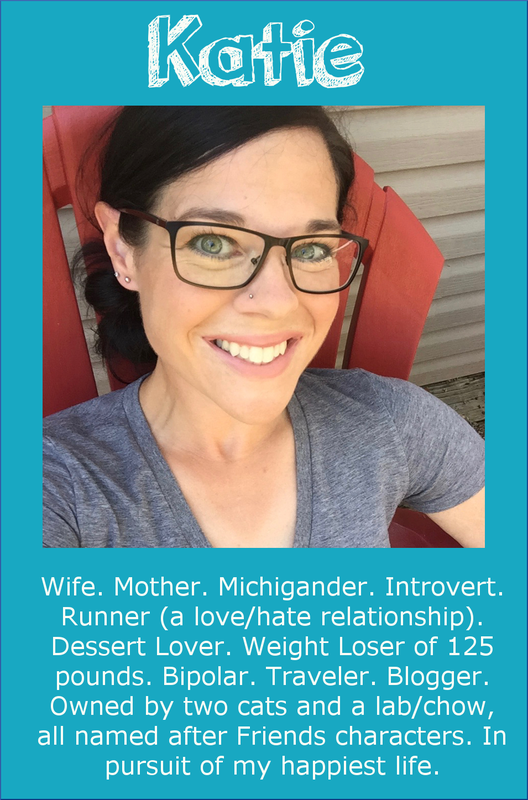 Last year, after having her second baby, Diane decided she needed to do something for herself--so she started running. 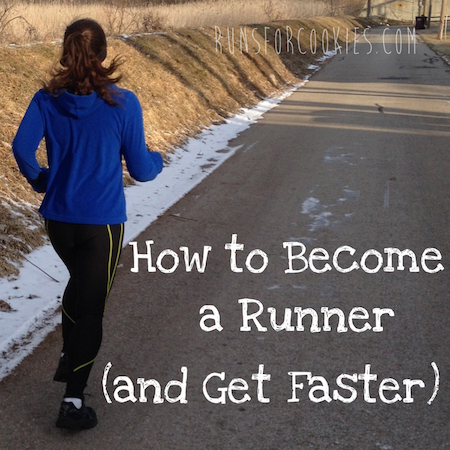 She began by walking, then adding a little jogging here and there, and eventually, she was running. 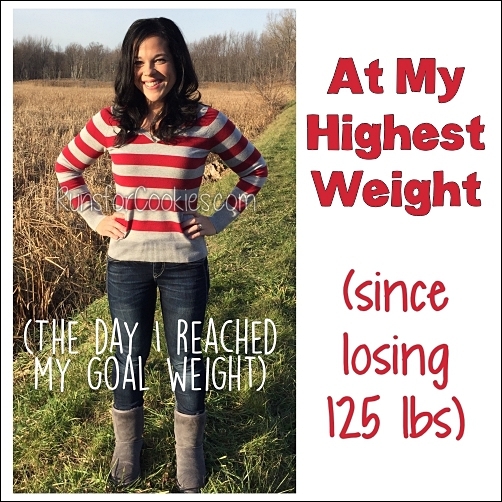 She even lost 15 pounds in the process! After doing it on her own for five months, she gave herself a goal to run her first 5K race--and on her last day of being 34 years old, she did it! She even clocked her best time yet: 33:25. She was so overcome with pride in herself, and hearing her daughter cheering at the finish line, that she cried as she ran across the finish line! You can check out some more stories on the Motivational Monday Facebook post. Congrats ladies! Now that you have an iPod, you should download the podcast Serial! It's so addicting!!! I think Martha was at the same race that I was on Sunday! 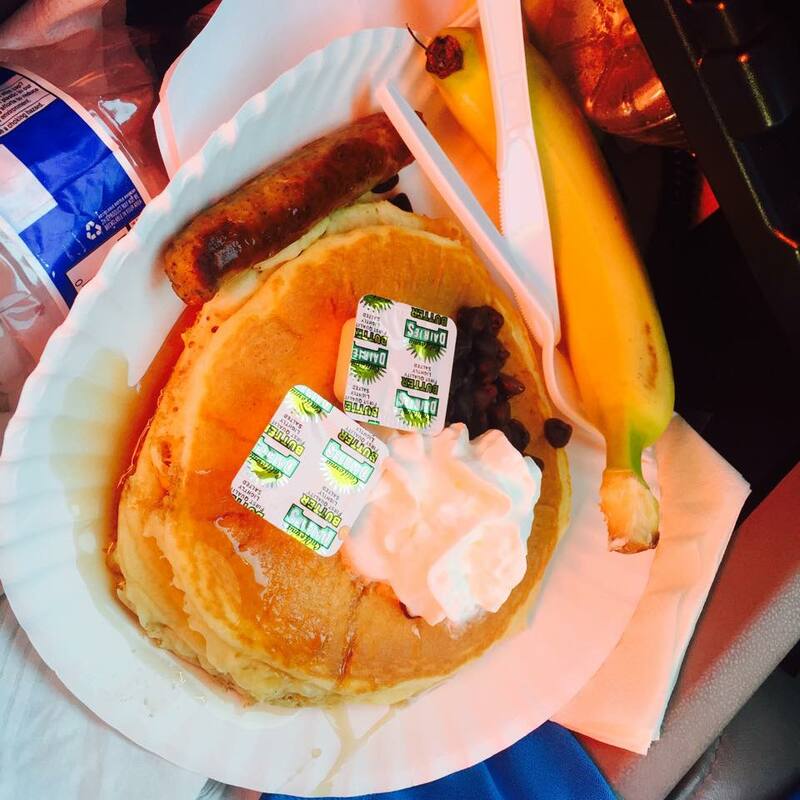 Those look like the delicious IHOP pancakes that me and my sister enjoyed after our 5k in Phx :) They tasted even better because I met my goal of running the whole way! I was still a lot slower than these ladies though - good for them! I hope to keep cutting my time down! Ha! Yep, the Runner's Den Pancake Run! 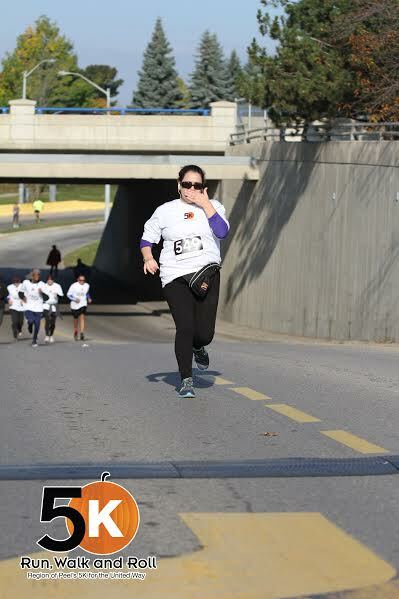 I really liked that race - maybe next year I'll actually take my son, ha ha. Congrats on running the whole way! As for your time, I have been working on getting my 5K time down for what seems like forever...keep at it, you'll get there! My first 5K was somewhere around 44:00. I just wanted to thank you for posting your trackers in December. 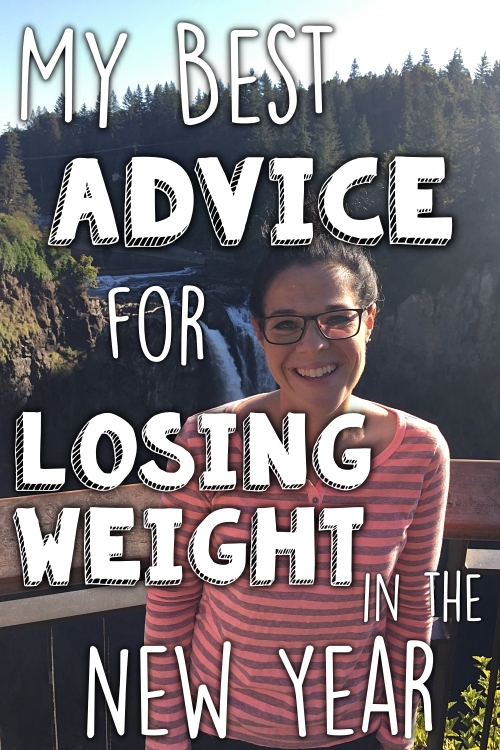 They really helped me! I have been faithfully (and truthfully) tracking again since January 1st and have not missed a single day, even when I had the flu for a week. I've changed some of the ways I was doing to it to how you tracked (I asked several questions during that time.) I know it was a bit stressful when you posted them, but just wanted you to know it helped me a lot! I only have a little bit to lose and it's coming off slowly, but tracking everyday is a non-scale victory for me. 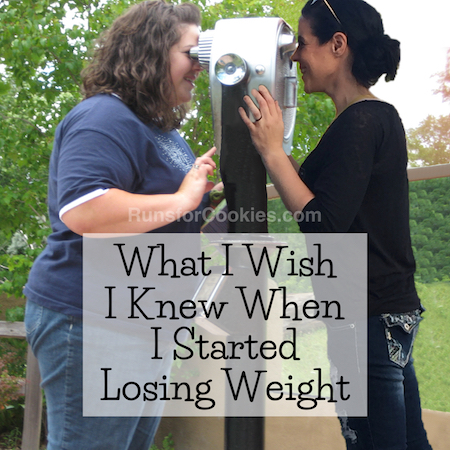 My husband said he can tell I'm getting smaller even if the scale doesn't say so. Congrats to your mom on completely that half marathon!